What is out there in the vastness of space, well if you are in Vancouver the H.R MacMillan Space Centre can help you answer some of the questions. The H.R MacMillan Space Centre features a 360 degrees planetarium where attendees will be guided through the night sky looking at planets, our solar system, and the stars beyond. The GroundStation Canada is another part of the space centre where you can learn about the heat generated by exploding star materials and also learn about the difficulties of living in space. The Cosmic Courtyard is a place where they hold education sessions for kindergarden kids (sleepovers) all the way up to secondary schoold kids. There are plenty of exhibits at the H.R MacMillan Space Centre so you don’t have to worry about whether your kids you have enough to do. The H.R. MacMillan Space Centre is open daily. On Saturday evenings there are viewing of differenct Planetarium production, micro-lecture plus you can always visit to the observatory. The H.R. MacMillan Planetarium opened for business on October 28, 1968, it was a gift from lumber tycoon H.R. MacMillan to the residents of Vancouver. Space exploration during the 1960s was starting and intrigued H.R. MacMillan who wanted to provide a centre for the people of his day and future generations to learn about space. At opening the H.R MacMillan centre just had the Planetarium Theatre and they added the exhibit gallery and new theatre in 1997. 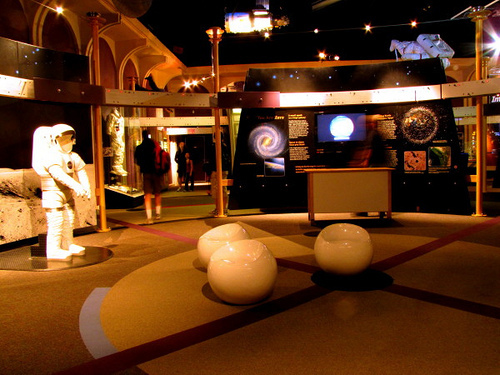 The Space Centre transformed over the year into the resource for the community as it is known today to provide learning about space for everyone. 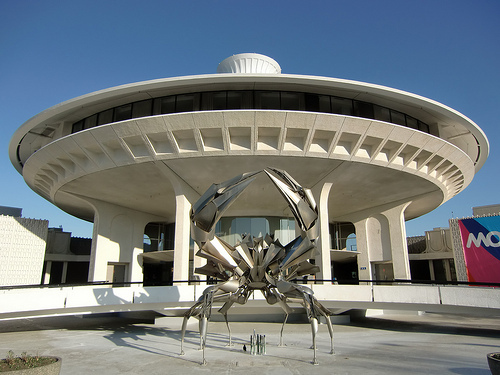 The unique look of the H.R MacMillan Space Centre was designed by architect Gerald Hamilton, and it is today one of most original and recognized buildings in Vancouver. The roof of the building may look like a space craft, but is was really made to look at the hats that the native people of that region wore (Haida people). When it opened in 1968, the H.R MacMillan Space Centre has shared the building with the Museum of Vancouver. This entry was posted in History, Museums, Tourist Attractions and tagged attraction, Centre, Education, H.R., History, MacMillan, Space, things to do, tourist, Vancouver. Bookmark the permalink.